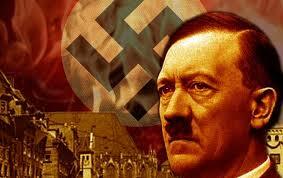 Asking Adolf Hitler to investigate “Holocaust”!!! 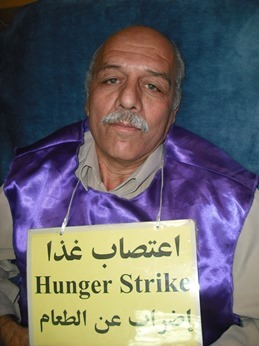 Why have we, hunger strikers, chosen to endure the pain of hunger and, possibly, death? The answer is very simple: First and foremost, we demand the release of seven innocent camp Ashraf hostages who have been taken hostage arbitrarily by the unruly government of al-Maliki, under the eyes of the United Nations. What’s even more outrageous is that the United States and United Nations are expecting the Iraqi government itself to investigate into this crime, which will only help the perpetrator of this atrocity evade suffering the consequences of his crime. This is the same as asking Adolf Hitler to investigate into the “Holocaust”. The negligence of the United States and United Nations will give the green light to the Iraqi government for more massacres, and it is a great insult to human dignity. Therefore, I call on the United States and United Nations to immediately force the Iraqi government to free the seven hostages. Our only option is the hunger strike and we will continue till the end. I call on all awakened consciences and advocates of freedom and Human Rights across the world to join our cause and help free the seven hostages and put an end to this injustice.